The other day I was forwarded this gallery, and as I went through the photos I was instantly reminded of Sheldon and my first steps towards the Transrockies. 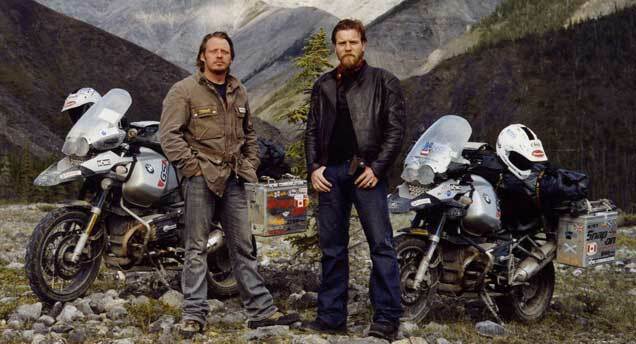 One of the defining moments that led up to our decision to taking it on was the series Long Way Round with Ewan McGregor and Charlie Boorman. 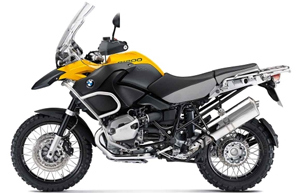 Initially Sheldon and I had grand dreams of buying twin BMW 1200 GS Adventure motorbikes and tearing around the globe. Perhaps not tackling the Road of Bones or Mongolia, but maybe rambling through northern BC, or heading up the Pacific Coast. The more pints we had, the better an idea this seemed. 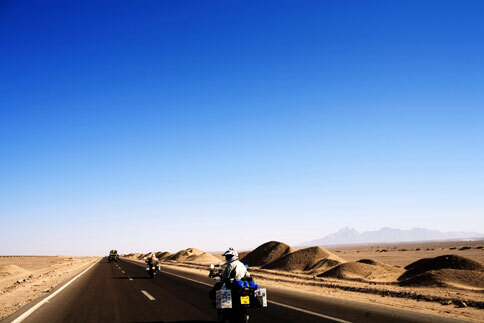 We of course had limitless cash to fund our adventure, and more than enough time to fully enjoy the trip – documenting it all as we went along. It was going to be the Long Way Somewhere Awesome with Ken & Sheldon. Unfortunately once we exited, our heady, inebriated dream-land – reality came crashing in and the overwhelming logistics of pulling something like this off without a movie-star bankroll quickly crushed our delicate dreams. Naturally, a desire for something epic continued to plague us – the answer was simple. It was in front of us the whole time. We simply needed to channel our energy into another passion. At the time we were both living for the Wednesday night Pedalhead rides, and were both contemplating getting back into the race scene. After looking into things a little bit we found the Transrockies and the dream was born. Despite it not being a specific cycling movie if you have any appreciation for “The Epic Ride”, I would highly recommend watching The Long Way Round. In fact, you should just go buy the series. Don’t bother trying to borrow it from a friend, or wait for it to be re-aired on Discovery Channel, just go buy it. You can thank me later.